This winning style combines a modern look with a quality finish. 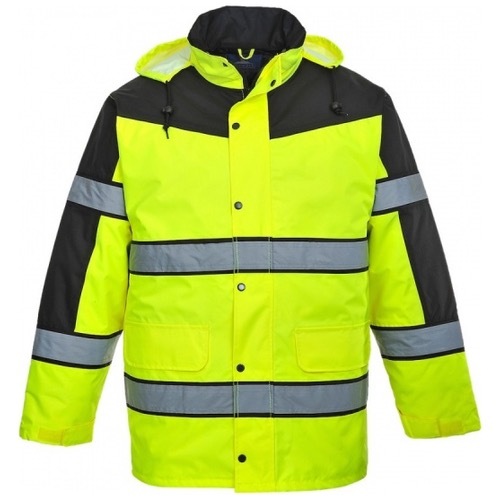 Designed to keep you warm and dry, this item provides maximum visibility and is suitable for all weather conditions. Features include a mobile phone pocket and fold away hood. 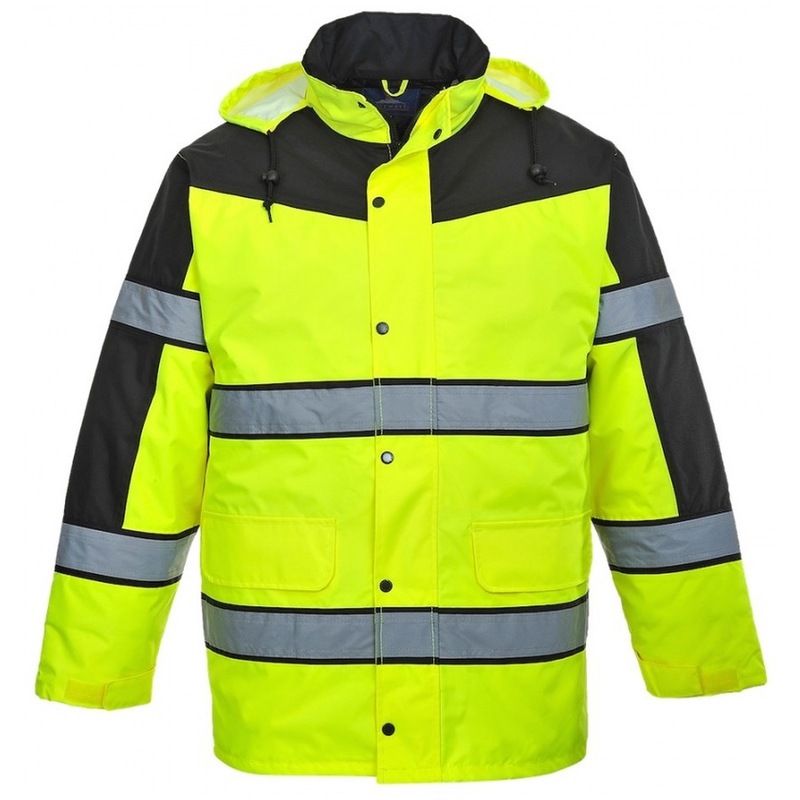 Great quality jacket. The material is very sturdy and the lining is really warm.